Under the name “Moderna Museet c/o” Moderna Museet lends artworks to smaller museums in Sweden in collaboration with a local curator. 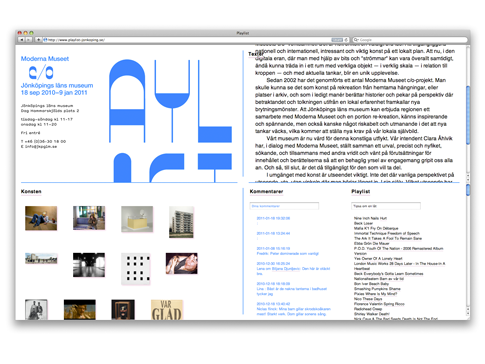 The web catalogue is designed in four equal sections. Top left – Information. 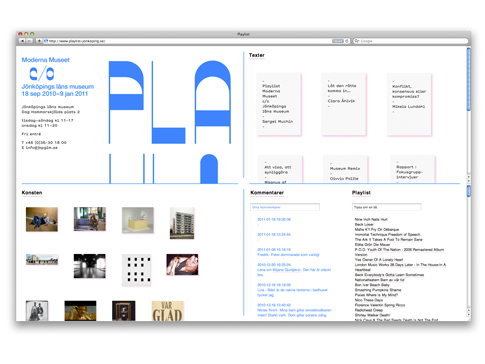 Top right – Texts. 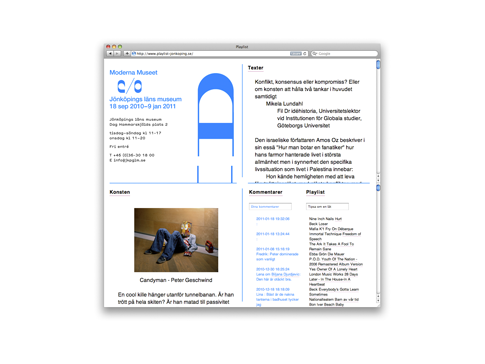 Bottom left – Artworks/captions. Bottom right – Visitor Section. 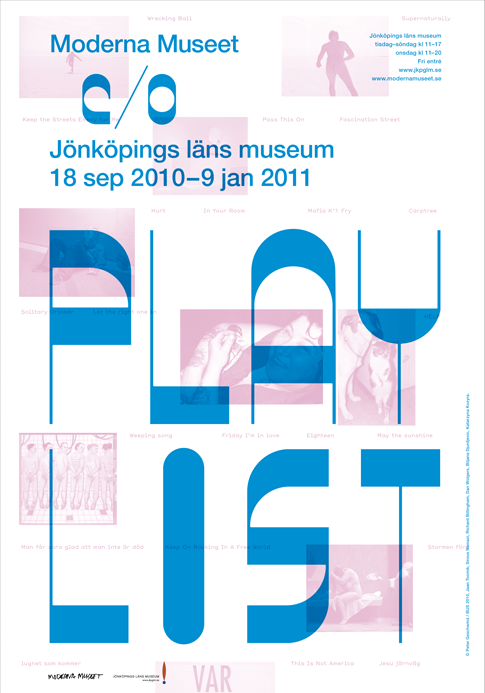 The visitor section includes a comment field and a Spotify playlist where visitors can suggest songs connected to the theme of the exhibition. 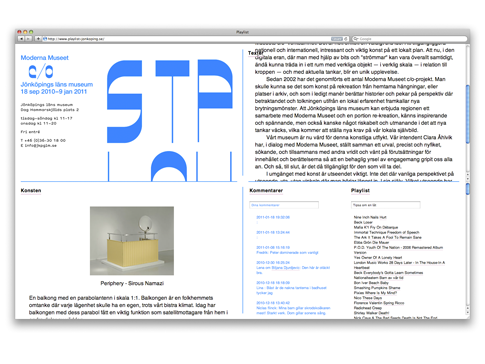 The information area displays a shuffled version of the exhibition logo where the letters change place when clicking something on the page.